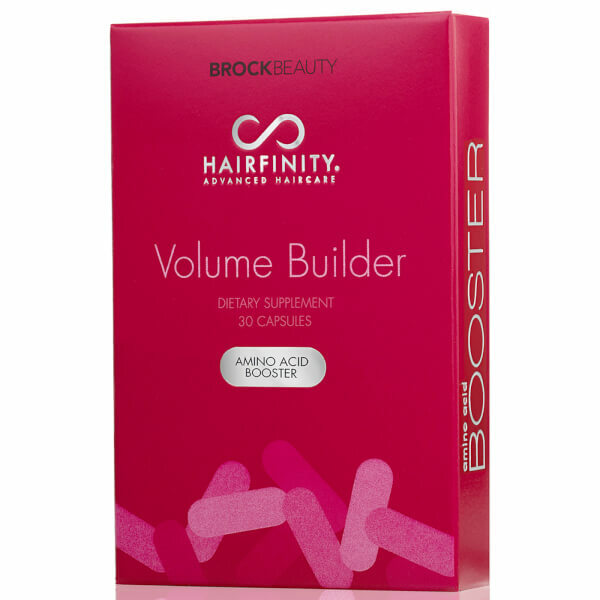 Improve the strength and appearance of your tresses with HAIRFINITY​ Volume Builder Amino Acid Booster, a nutritional supplement that delivers an intense dose of Amino Acids whilst supporting normal hair growth from the root. Promoting healthier-looking, protein-rich hair, the dietary supplement contains Cysteine and Methionine to provide building blocks for hair, and Lysine, Arginine and Taurine to support hair's follicles. Providing building blocks for healthier-looking locks, the capsules will improve strength and elasticity to prevent breakage and encourage fuller, more resilient tresses.